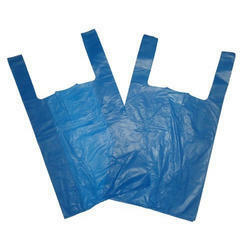 As per the needs and requirements of our clients, we are involved in providing Anti Static Polythene Bag. Owing to our in-depth knowledge in this domain, we are specialized in providing LDPE Polythene Bag. These resealable polythene bags are quick and convenient to use. Simply squeeze to seal the bag. Widely used in industry, warehousing, hardware stores, kraft shops and airport security etc. These general purpose bags are made from strong 40–45 micron / 160–180 gauge polythene, with a snap–close self-seal channel. Capitalizing on our years of experience, we are able to offer Polythene Bags that are manufactured using low density, medium density polythene, and high density polythene. All these bags are available in different sizes, thickness and shapes to pack food, garments and components. Apart from this, we also offer packaging polythene bags and polythene shopping bags. Diamond Polymers prepares various sizes and specifications of LLDPE Tubes and bags. We also offer custom sizes, styles and custom made flexographic printing option. Our products have high clarity, Elasticity and are durable. They consist of 100% virgin low density polyethylene (LDPE) and Linear Low Density Polythene (LLDPE).